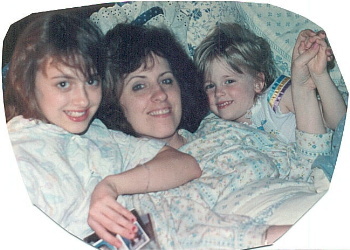 Look how much Mom looks like Jamie in this photo. That's cute little Kathryn on the right. This is a Quillen pastime. Piling on top of Mom is so much fun!